Brighton and Hove Albion have held talks with Hibernian about John McGinn, but have yet to make a bid for the midfielder. Celtic have had in excess of three bids for the Scotland international rejected but talks between the two clubs continue. The Easter Road club have received no offers for the 23-year-old from any club other than Celtic. 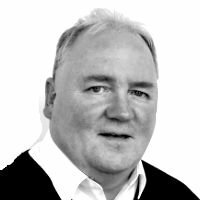 McGinn is in the final year of his contract, having joined in 2015. Head coach Neil Lennon had said he would continue to select McGinn amid speculation about his future, with the former St Mirren player in the final year of his contract. And Lennon told BBC Scotland on Friday: "It wouldn't surprise me if there were more offers coming in. "I said last season he was worth £5m. For me, you're getting a bargain at that but his contract situation dictates the price because he's got only a year left." Is Maclaren the Premiership's most prolific striker? 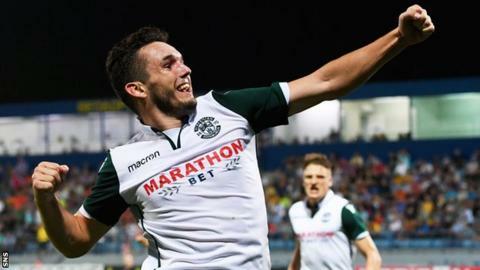 Hibs overcame Asteras Tripolis on Thursday to set up a Europa League third qualifying round tie with Molde, with McGinn's strike in the 1-1 draw in Greece contributing to a 4-3 aggregate win. "He's getting better," Lennon added. "You saw him again last night in a pressure game. He was absolutely outstanding with the background of all the speculation that he's had to deal with. "He may go or we may have him for another year. If it's the latter, I'll be absolutely delighted because he's just improving all the time. "He's too good a player for there not to be offers. Then we may or may not have a decision to make." McGinn, himself, said after the match that his departure is "coming at some point" but that he was determined to keep performing in the meantime. "It does get tough at times but football's your way of getting out, it's your way to relax and enjoy it and I love playing for this club," he said. Meanwhile, Lennon told Hibs TV the club were "waiting on the paperwork" to complete the signing of Manchester City's Ghanaian winger Thomas Agyepong.